approx. size: 9" x 13"
View this portrait's work in progress here! View Benny's online Memorial page here! 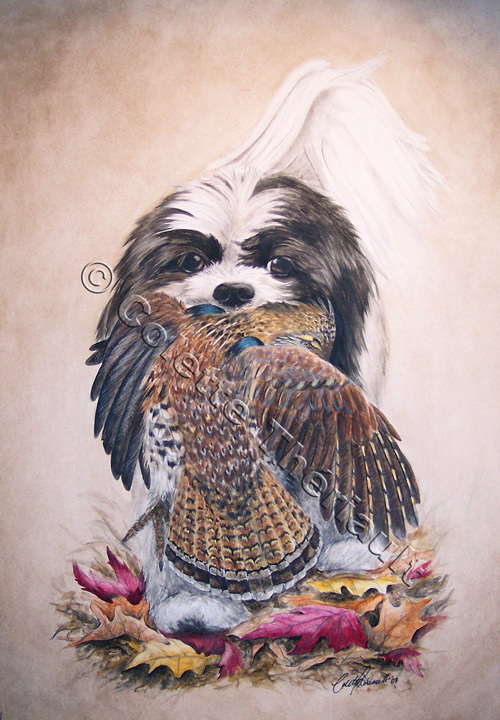 Custom pet portrait commissioned by Mrs. Genny Patterson. 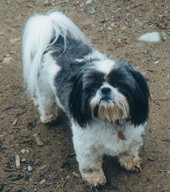 Genny tells me that Benny was a proud fellow who always walked with attitude and had a heart of a lion. He is shown here carrying a ruffed grouse which he would bring back to his beloved master while out on one of their many hunting trips.